JCSM fondly remembers artist, patron and friend, Dale Kennington, at her passing in this special edition of Collection Spotlight. 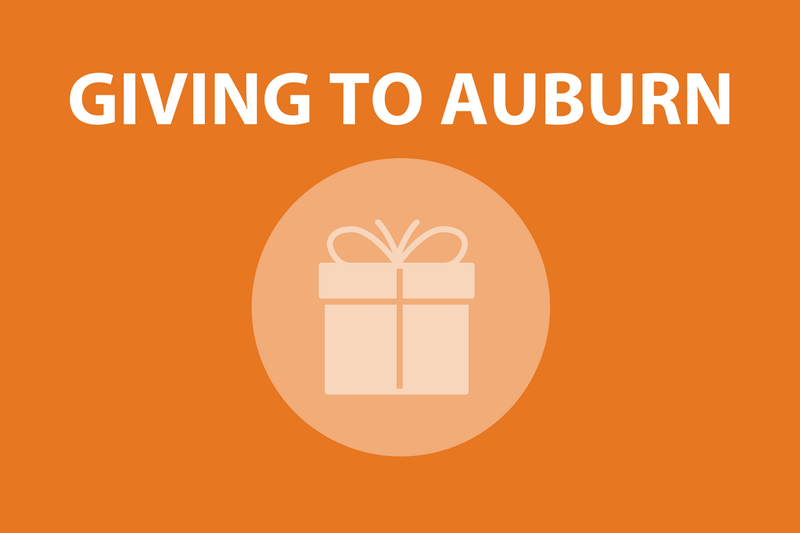 Funeral Services will be at: First Methodist Church, 1380 West Main Street, Dothan, AL 36301, Friday May 5, at 11:00 a.m. Visitation will be at the church from 9:30 a.m. to 11:00 am. The folding screen is perhaps the best of all possible vehicles for Dale Kennington’s art. Its very nature as a pleated, 3-dimensional object allows subtle and transient visual effects to take place, enhancing the complex objectives Kennington pursues in her “flat” work. Kennington’s narrative tableaus have always operated on multiple levels. She evokes a feeling of certain familiarity with the subjects of her paintings, of identification with a place or group or time. “I’ve been there, I know those people,” are comments often heard uttered before Kennington’s work, even when the painting is a compilation of disparate elements or a recreated private memory of the artist. Yet, it’s not only her compositional details—places, people, objects—that elicit that kind of déjà-vu experience in their viewing. Kennington’s evocative portrayal of light and atmosphere, one of the means by which she summons a mood, brings about a more visceral sense of shared experience. “I’ve felt that” is a response in many viewers. Her images often emerge from pervasive darkness in scattered bits and pieces, with Kennington guiding the viewer’s awareness of the composition’s features through careful choice and placement of colors. She directs a viewer’s perception of a painting through both skillfully rendered realism and deliberate ambiguity. 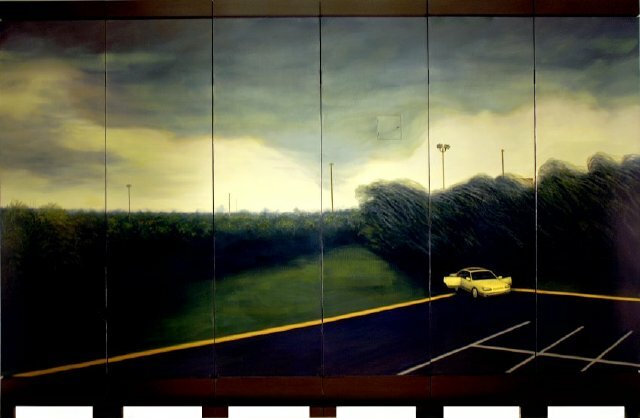 In A Question of Survival, one side of the six-panel screen presents a desolate landscape distinguished chiefly by an apparently abandoned, yellow automobile in the corner of an empty parking lot. The car’s doors are flung wide open, suggesting a hurried departure by its occupants. The painting’s nearly impenetrable mass of dark green foliage is oppressive and foreboding. Other landscape elements, stormy-blue clouds and blacktop pavement, offer equally negligible cheer. Lines painted across the tarmac and curbing echo the widely scattered, spindly light poles, each contributing to the painting’s overall bearing of forlorn unease. With a stage set thusly, Kennington’s composition on the opposite side of the screen takes on correspondingly ominous overtones. There, a vacant interior’s emerald-green walls now seem grave and obstructive, like their landscape counterpart. Box flaps and yellow closet doors in the room are ajar, revealing the absence of contents. The interior’s gold-hued moldings recall the empty grid plotted across the screen’s exterior vista. 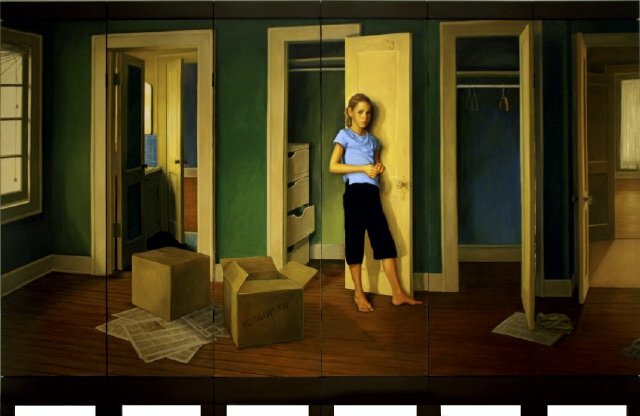 And finally, the painting’s solitary figure, a young girl dressed in a sky-blue top and asphalt-black slacks, stands alone in the deserted room. Her attire invokes an association, in color at least, with the troubled landscape. The screen’s dual or flip-sided nature is all-important. Kennington cleverly weaves the two compositions together, back-to-back, necessitating a playful cat-and-mouse game by the viewer to chase the meaning of the entire work. Were the paired images separated for display flanking each other, as a diptych on a wall, much of the work’s intrigue and challenge would be lost. As a two-sided screen, Kennington proscribes no definite order or sequence for their viewing: no front and back, nor first and last. A viewer might draw a very different reading if he studied the interior scene containing the figure before encountering the landscape. Additionally, Kennington exploits the folded screen façade to produce a result that cannot be appreciated in a flat reproduction on the printed page. It must be experienced dynamically. The screens’ accordion-like surfaces reveal different aspects when approached in the round. Seen from a particular angle, Kennington’s painted figure drops from sight into a fold of the screen, only to reappear with a change in the viewer’s position. Architectural planes such as floors, walls and staircases make similar shifts, transforming perspectives as the observer walks around each screen.